As a new mom, I thought it would be great to start reviewing books for children so that I can add to our daughter’s collection, so here’s my first one. 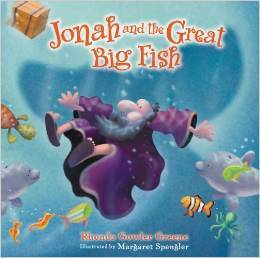 Jonah and the Great Big Fish by Rhonda Gowler Greene is a biblically accurate and kid-friendly retelling of the story of Jonah. The story is told as a poem, making it easy for kids to remember, and the accompanying illustrations are absolutely beautiful! The story is simple yet accurate, and it is worded in a way that children will easily comprehend and remember. I really enjoyed this book and can’t wait until my daughter is old enough for me to read it to her!